We are providing a wide range of Splicing Measuring Instruments which are appreciated by our clients owing to their accuracy in performance and consistency in output. These Splicing Measuring Instruments are procured by our expert procuring agents from trusted vendors. 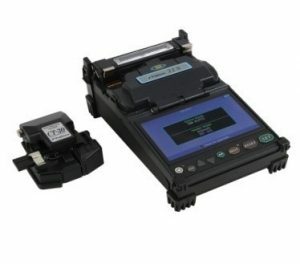 The Fujikura 12S fusion splicer is the smallest, lightest, and most portable splicer in the world. The robust chassis features shock, dust and moisture protection while the two camera observation system provides for accurate fibre alignment and loss estimation calculations. 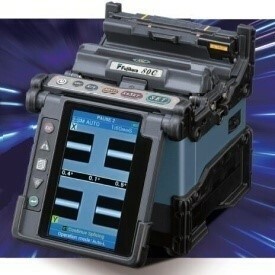 The 22S is designed for high-end FTTH splicer applications in FTTX, Data Center / LAN and Access Networks. 22S offers an active V-Groove alignment single fibre splicer for reliable and improved splicing performance for a range of different fibres SMF, MMF, DSF, NZDSF.Applicable from 125μm cladding diameter/up to 3mm sheath diameter fibres with sheath clamp. 22S provides advanced capabilities including splice result storage of 200 splices, 5-16mm short cleave length splicing . 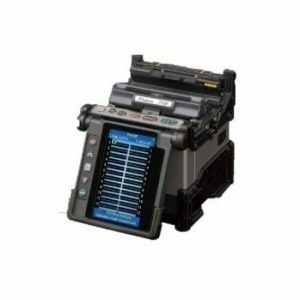 The Fujikura 62COptical Fiber Fusion Splicer core alignment model fusion splicer provides low loss splice results without adding more expensive automated features. A conventional flip open style wind protector and non-motorized tube heater reduce the complexity of the splicer without substantially increasing total cycle time. Fully rugged for shock, dust, and moisture. 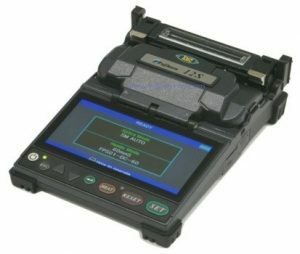 The 70S+/80C is the new standard core alignment fusion splicer covering varied splicing needs in those fields with a series of innovative features such as automated wind protector / tube heaters, 6 seconds splicing and 9 seconds tube heating, ruggedized body, improved carrying case, wireless communication functions etc. They are all for great splicing efficiency. 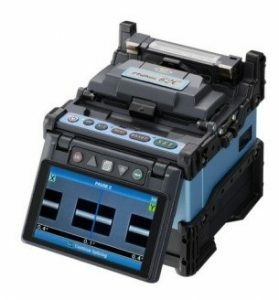 The 70R+ is the new standard ribbon fibre fusion splicer (up to 12 fibre ribbon) covering varied splicing needs in those fields with a series of innovative features such as automated wind protector / tube heaters, 11seconds splicing and 18 seconds tube heating, ruggedized body, improved carrying case, wireless communication functions etc. They are all for great splicing efficiency.